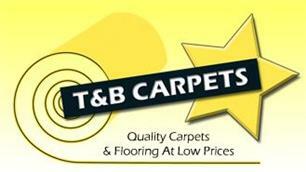 Manningtree Tiles and Flooring - Carpets/Flooring, Cleaning Services based in Lawford, Essex. A family run business since 1982 our experience enables us to offer a real price promise. We are an established flooring covering contractor for commercial projects, and retailer with installation service for domestic customers with over 35 years experience in the flooring marketplace. We are never knowingly undersold. All top brands at discounted prices and also a huge selection of quality remnants in all shapes and sizes. Whatever your budget our friendly staff are here to help and advise you. Free home selection and measuring service. Provide a professional, consistent, efficient and competitive service to our customers. Provide this service from our base in Manningtree covering the whole of Essex & Suffolk for domestic installations and the whole of the U.K for commercial installations. Provide customers with the highest standard of floor covering options within budget to fully meet their requirements. Provide customers with the best advice to assist them make their choice. Carry out and complete each project with the utmost professionalism, and with care and attention to detail. Protect and further develop our customer base.